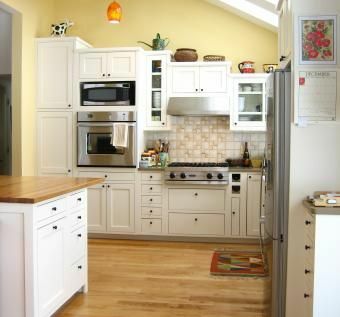 Custom Designed kitchen cabinets were designed by Blue Spruce Joinery with significant client input. It has all the features and storage the client wanted in a contemporary coastal style. 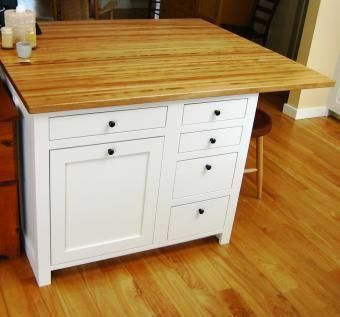 We made a red Birch island top to match the flooring that was through out. 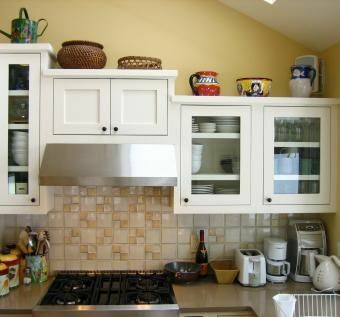 Our cabinets can be made in any sizes and styles to fit anyone\'s taste. Dimensions: Can be made in any dimensions.